Pop over to our COMPETITIONS link to get your entries in. 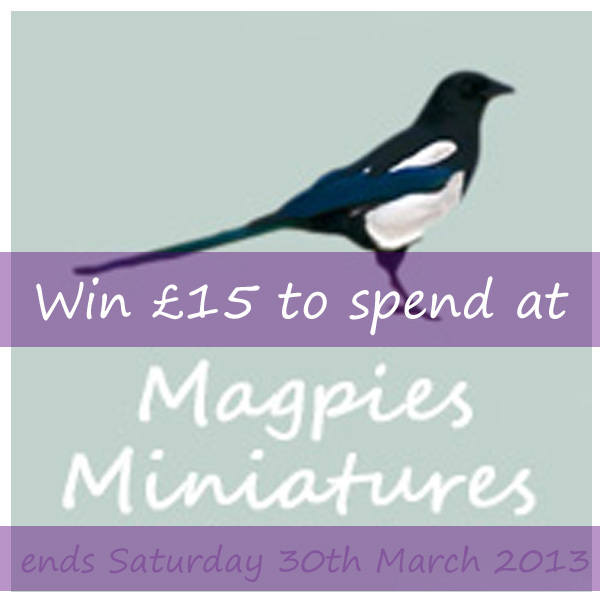 Prize draw closes next Saturday, the 30th of March 2013. You have to be in it to win it! GOOD LUCK!! Christmas is fast approaching, and although it's a time to celebrate and be merry, it's also a time to remember those who can't be with us. The past 18 months has seen some tough times in our family, having lost two very dear family members. As a family business, this has been a pretty sad time for us here at Magpies-Miniatures. When times are hard, it really is lovely to recieve the feedback from our customers across the globe praising us and telling us how well were doing. We're human too, and it's the little things sometimes that get you through the harder days. So thank you, really- from the bottom of our hearts we thank you. This applies to our Website users who are leaving us lovely comments on our Guestbook, and also our eBay customers. 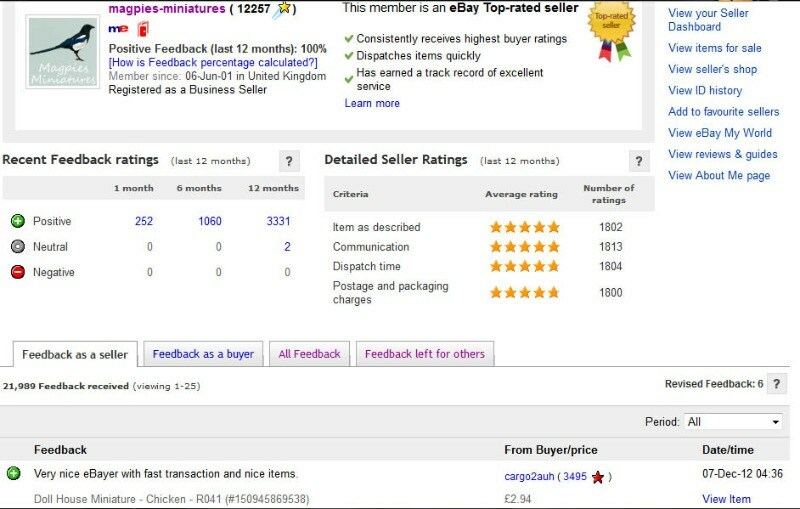 Just look at this feedback score- we're really pleased! I'd really like to take this opportunity too, to invite you over to our Facebook page. If you'd like a little conversation with us, we love to have a chat on there! It's nice to get to kow the people behind the order names, and similarly- you can get to know us behind the Webstore. Come on over and have a laugh with us, we appreciate the company. Merry Christmas to all of you, your families, and your loved ones who can't be with you today and over the festive season. woaaah... just slow yourself down. Make a cup of tea, relax, and have a little look below at a cute little list of "12 days" inspired mini's I've found on the site for you. remember, just a little fun! All items are clickable, and will take you to the product in the shop! ;) Didn't have a partridge in a pear tree unfortunately! Have a GREAT Christmas. 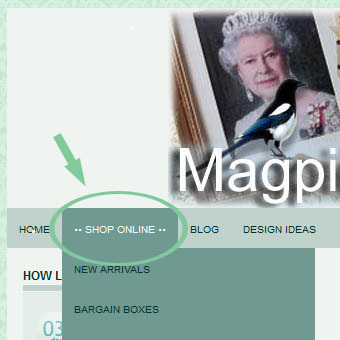 Don't forget Ideas Boards and Christmas Postage information are all available on the Top Menu Bar. If you're a regular to the website, you may notice a slight change on the Menu bar. Today (24/11/12) I've added a 'Design Ideas' page, where you'll find some inspirtation based on certain themes. I have currently completed 3 collections: Christmas, New Year, and Pubs and Bars, to coincide with the pending Festive Season. The collections I will be working on next are listed at the bottom, but I am open to suggestions if there's something in particular you'd like me to have a look at compiling for you. These are simply 'Ideas Boards' to help you with specific themes. It seems some people stuggle to search and navigate the website properly, and are overlooking items they are looking for. This is something we are working on, and at present it isn't fool-proof, so for easier location of items, plese simply click 'Shop Online' on the top menu bar, which is accessible from any page. This DOES bring up a drop-down menu, but you don't have to use this if you don't wish (can be difficult to hold and hover on some browsers), so by simply clicking this, it'll take you to the categories page. 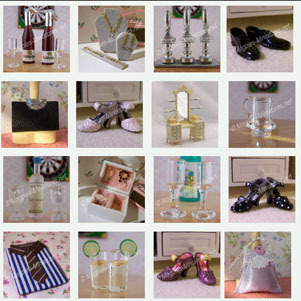 The categories are split according to rooms, with special collections grouped on their own, so all Jaiyi (high-end heirloom quality furniture) being grouped together, McQueenies kits (Gypsy caravans and smaller kits) similarly grouped, and so on. So let's say we're looking for a certain item. For example, a pair of high heel shoes for the lady of the house to dance the night away. you'll be greeted with seperate sub-categories, again grouping different types of objects. 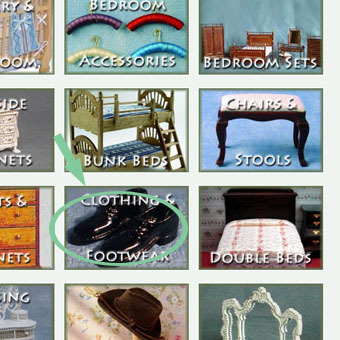 As we're looking for shoes, we'll be heading to Clothing and Footwear, highlighted here. Clicking on this sub-category will then list all the products available in that area, so you can browse through and choose what you'd like. Now, alternatively, there is the search box feature. Also, for those who's first language isn't English, plese be aware that searching in your home language won't pull up any results. If you have any trouble, please get in Contact using the link above, and we can help point you in the right direction.